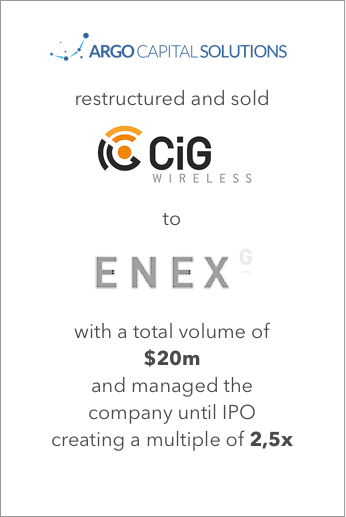 Argo Venture´s capital markets subsidiary Argo Capital Solutions restructured and sold CIG Wireless Corp. to Swiss private equity firm ENEX Group Management SA (ENEX) with an aggregate volume of $ 20 m. Stefan Beiten and Nikolaus Weil subsequently managed CIG until its IPO in 2012 thus creating a multiple of 2.5. In early 2011 Beiten began reorganizing CIG, an infrastructure business focused on leasing antenna space on its US-based communication sites via long-term contracts. 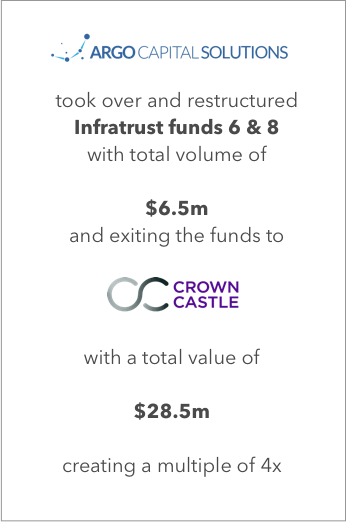 As part of the restructuring process, the shareholders of Berlin Atlantic Capital’s InfraTrust funds, whose assets comprised more than 60 cell towers in the US, were offered to exchange their investments for preferred stock in CIG. 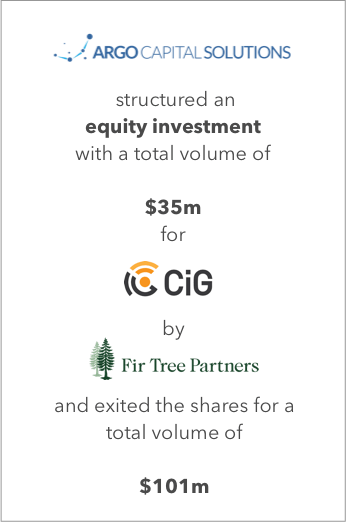 In addition, CIG entered into a corporate development agreement with ENEX, which saw the latter assist CIG in raising capital, and a loan agreement with ENEX subsidiary Enex Capital Partners. These transactions resulted in ENEX acquiring the majority of CIG’s common shares in 2011. Beiten and Weil head Argo’s investment savvy and diverse team deeply committed to accountability, reliability and integrity. Both are key figures at Argo Venture Capital and its various subsidiaries and associated companies. Their strong investment, management and technical skills go hand in hand with a passion for financial markets and business opportunities. 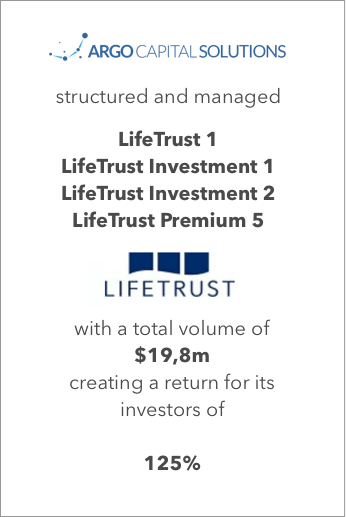 Our client-first approach is rooted in the knowledge that our success is inextricably linked with the success of our investors. 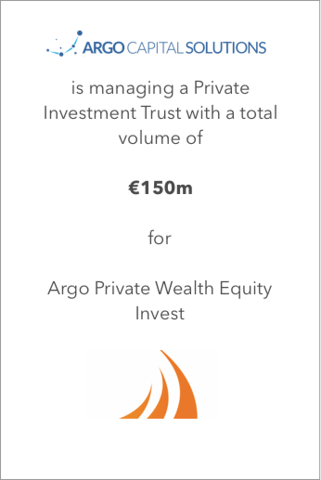 Due to having a thorough understanding of the industry and an entrepreneurial mindset, Argo’s portfolio managers are able to adapt their investment style and strategy to the ever-changing environment. Based on research-driven insight, we are able to generate a flow of effective investment ideas to ensure a client’s financial goals are achieved.